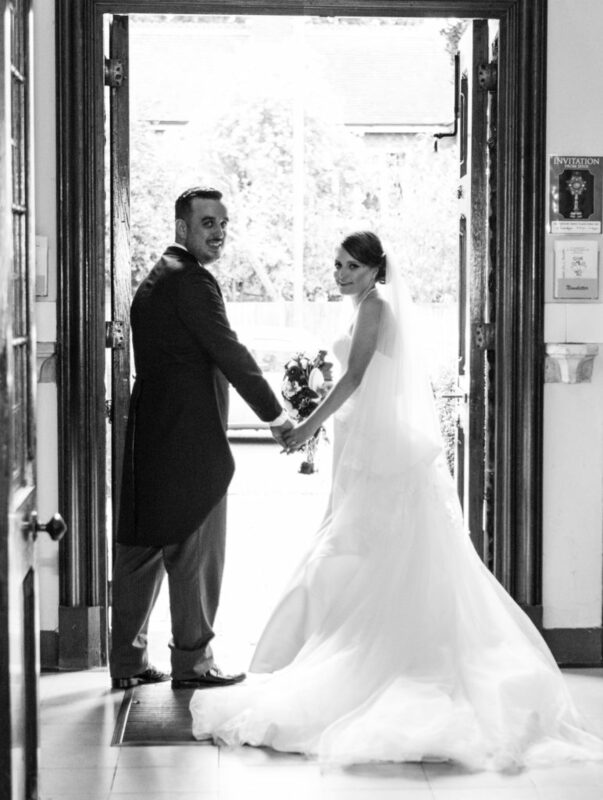 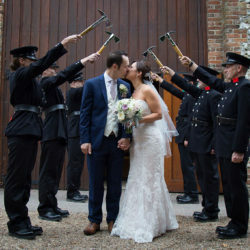 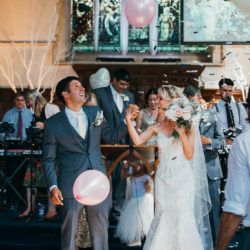 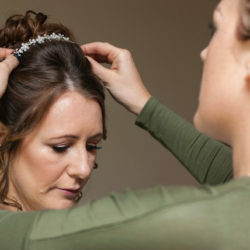 As a team we understand that every bride wants their wedding day to be the most special and memorable day of their life. 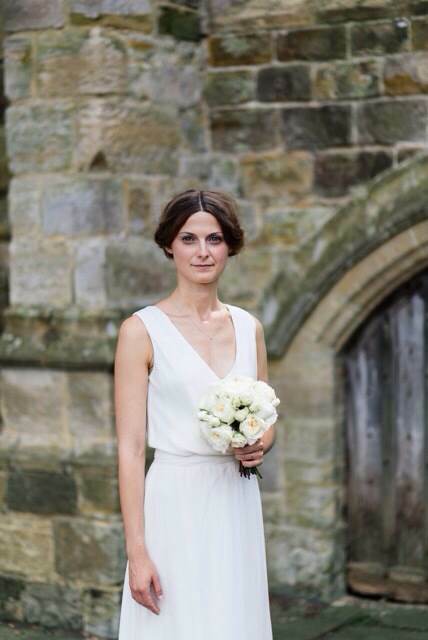 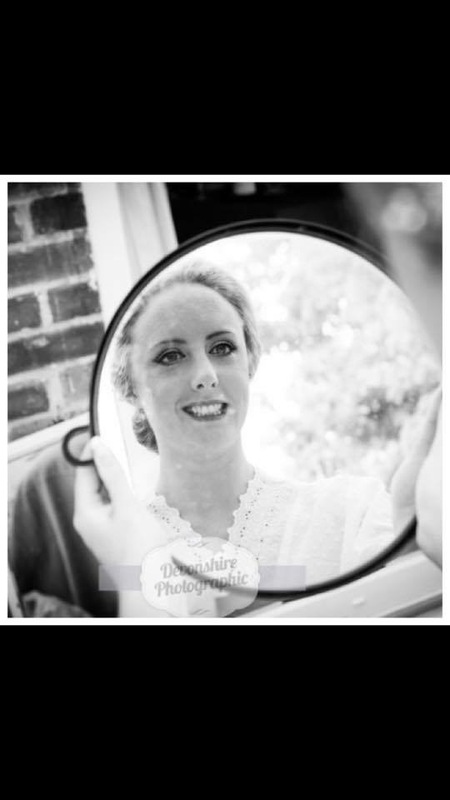 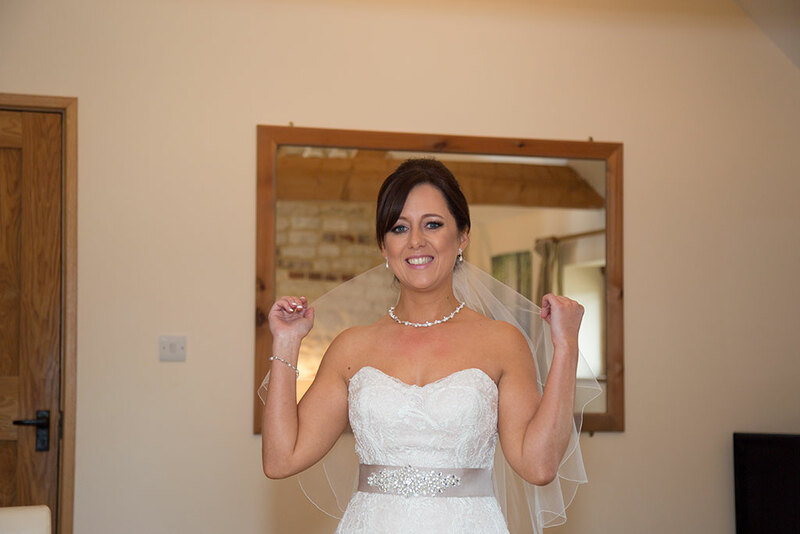 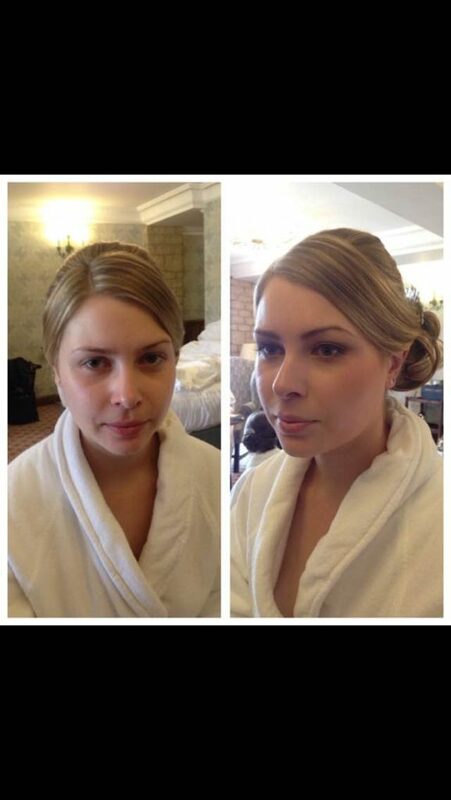 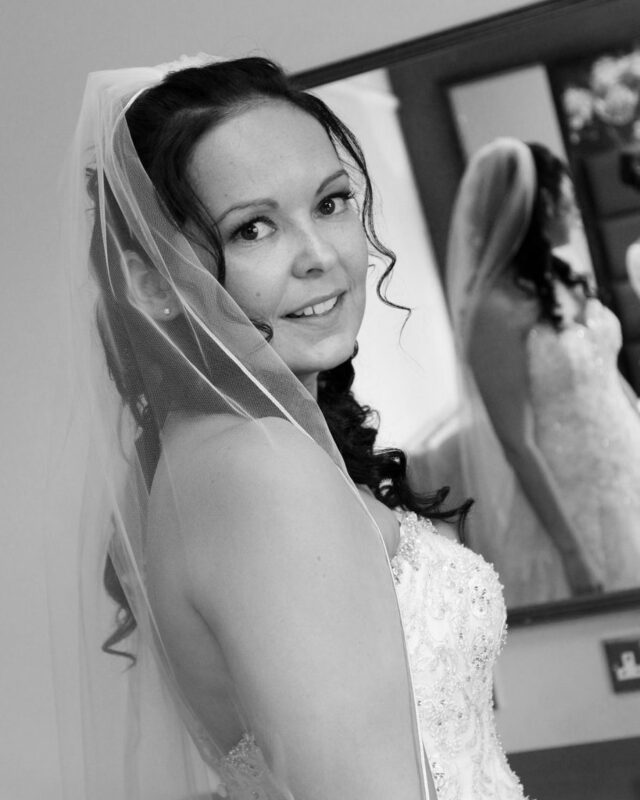 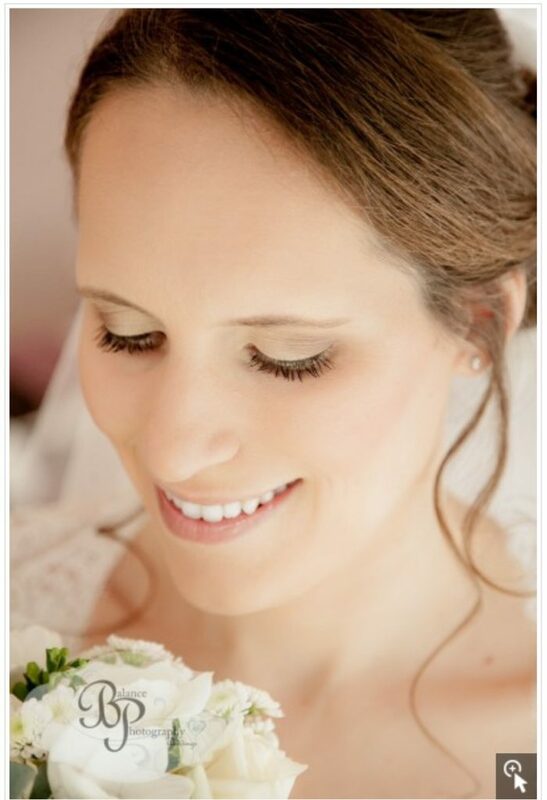 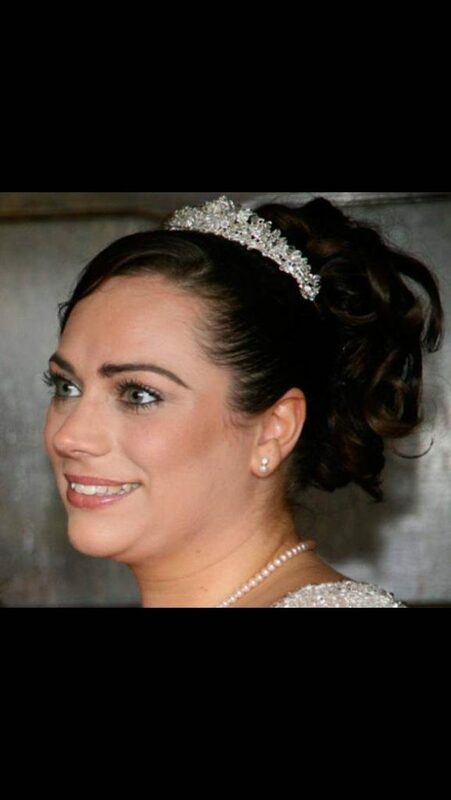 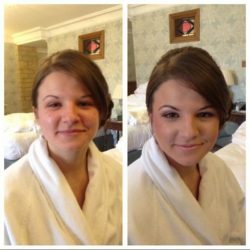 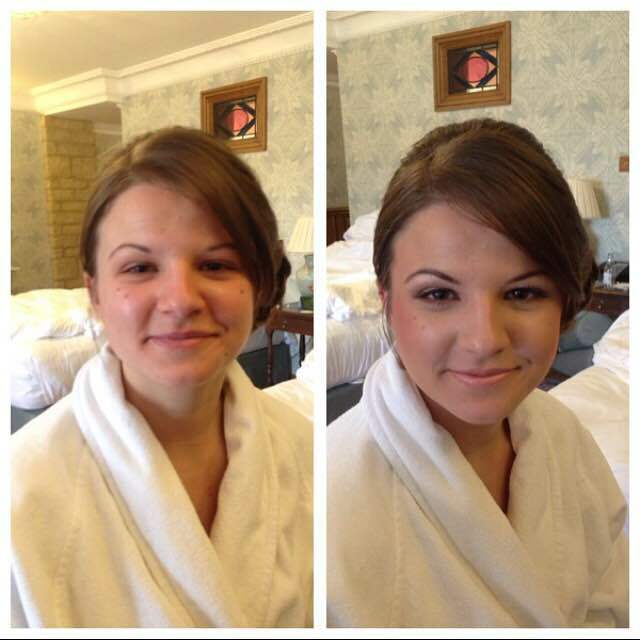 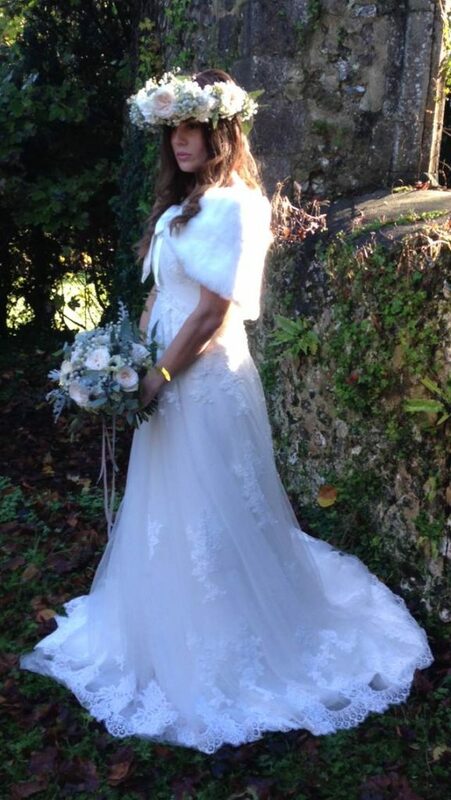 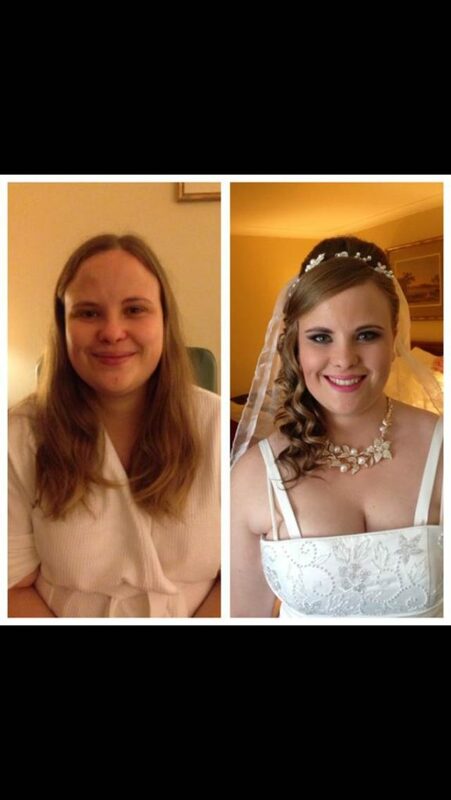 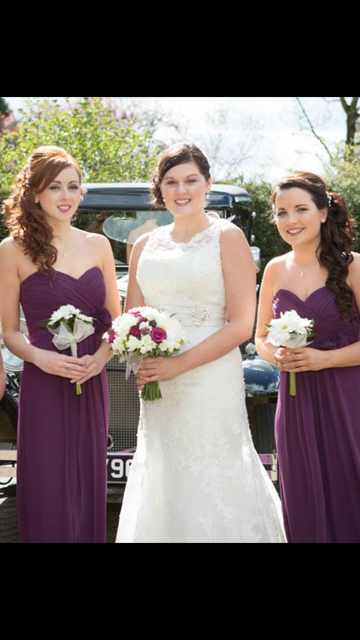 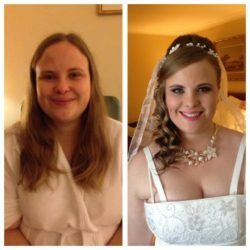 It is an amazing feeling knowing that we have helped to make a bride feel wonderful on her big day. 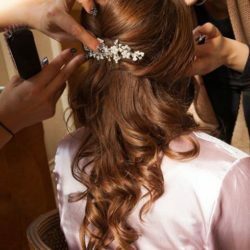 So let us make your day perfect and just how you imagined it to be. 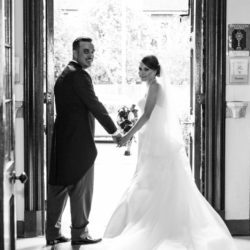 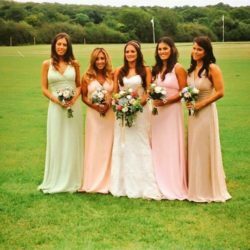 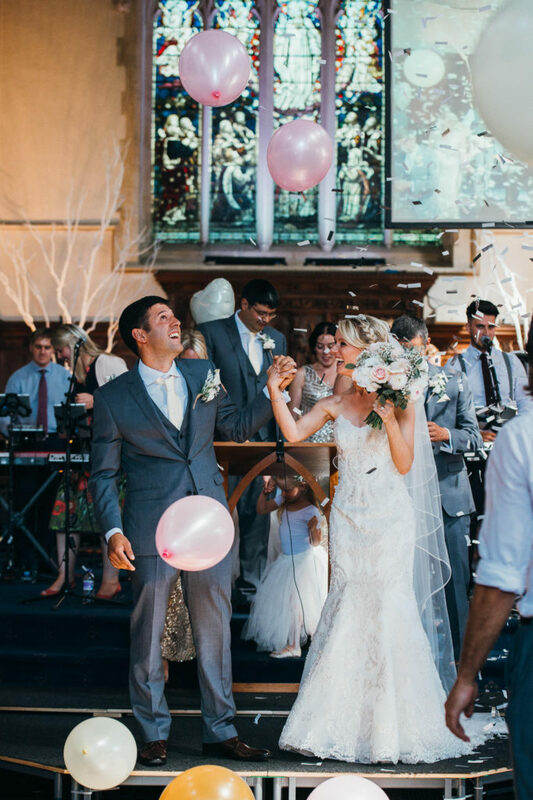 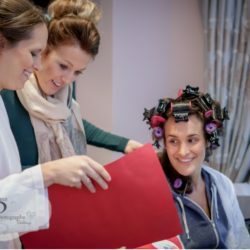 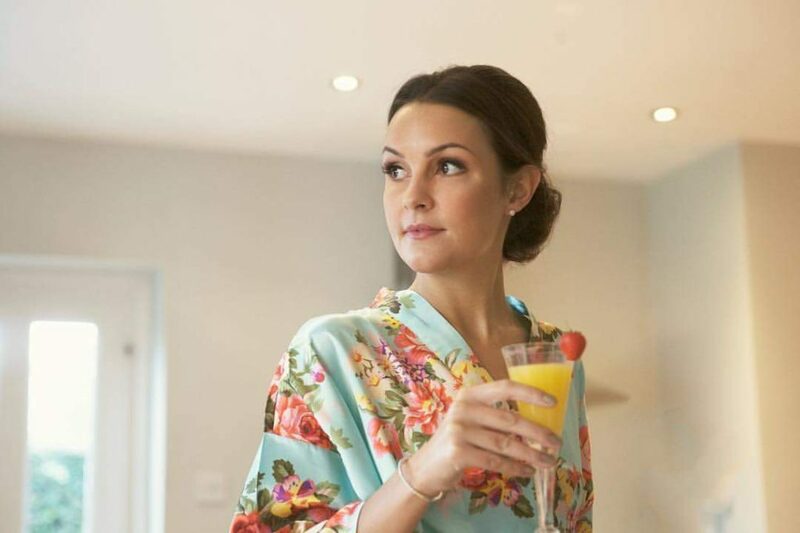 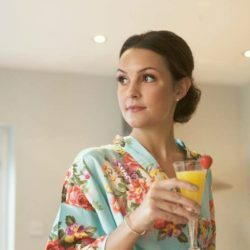 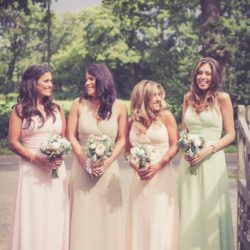 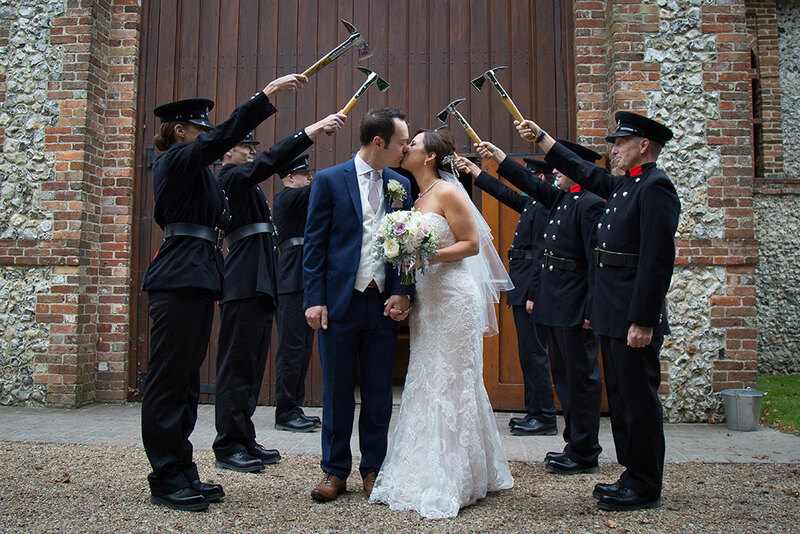 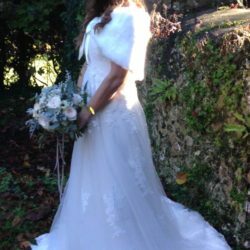 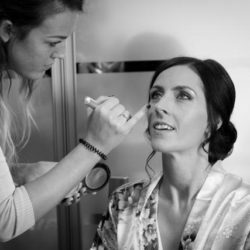 Our professional skills within the wedding industry will enable you to stay calm and relaxed and we will make sure you enjoy being pampered on the morning of your wedding. 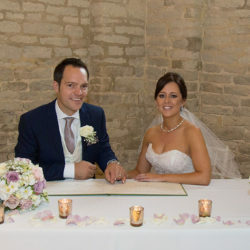 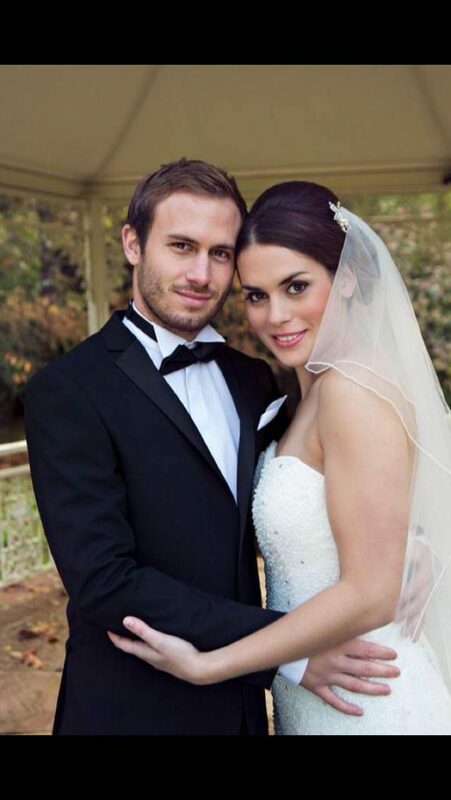 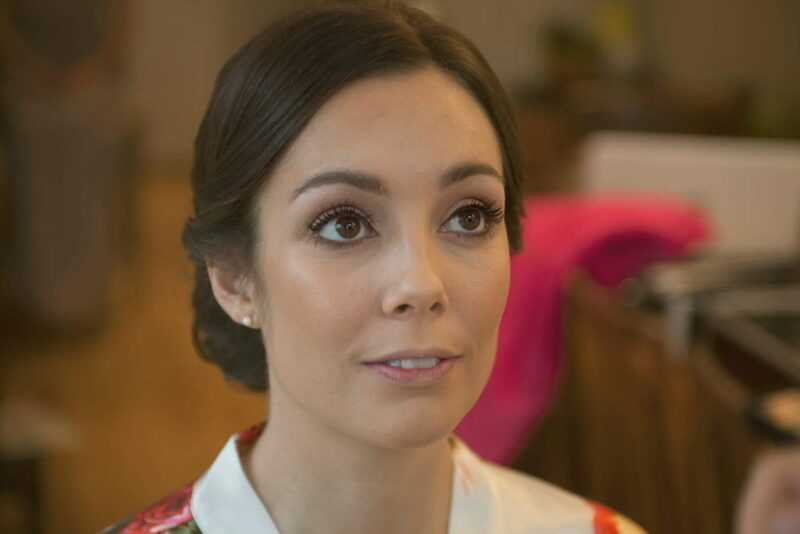 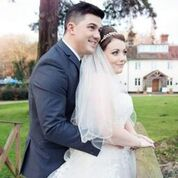 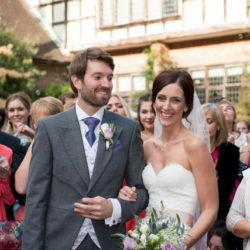 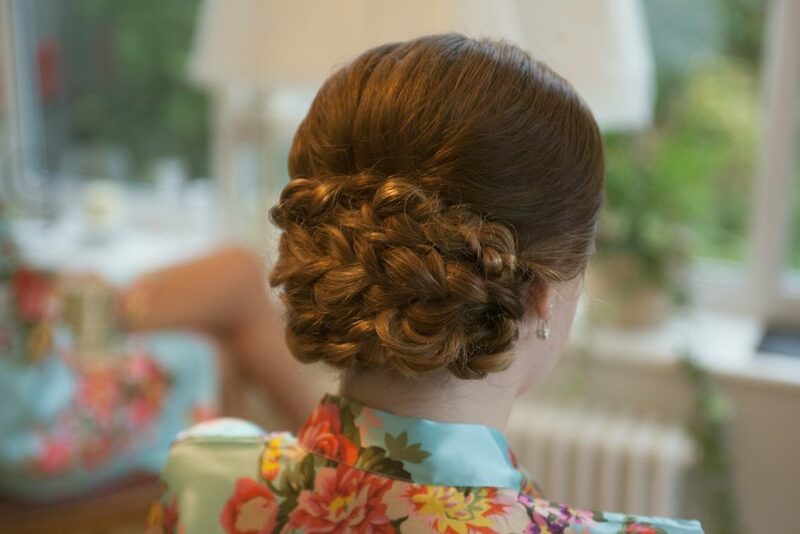 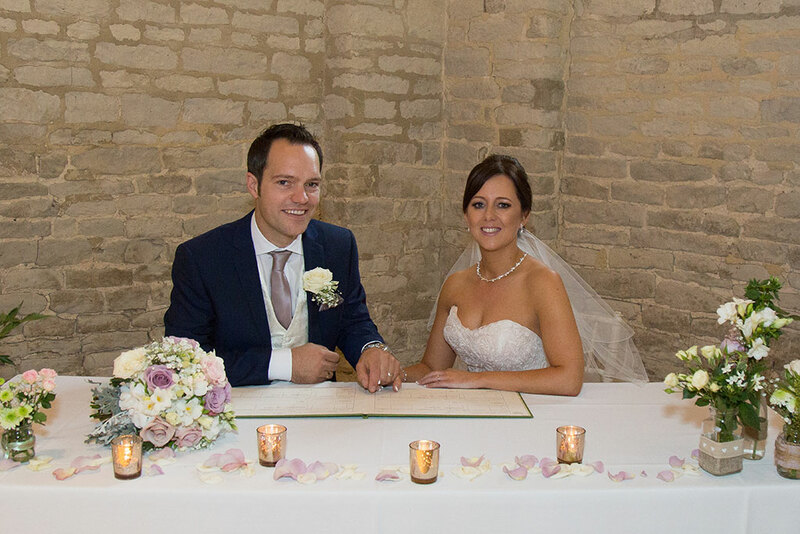 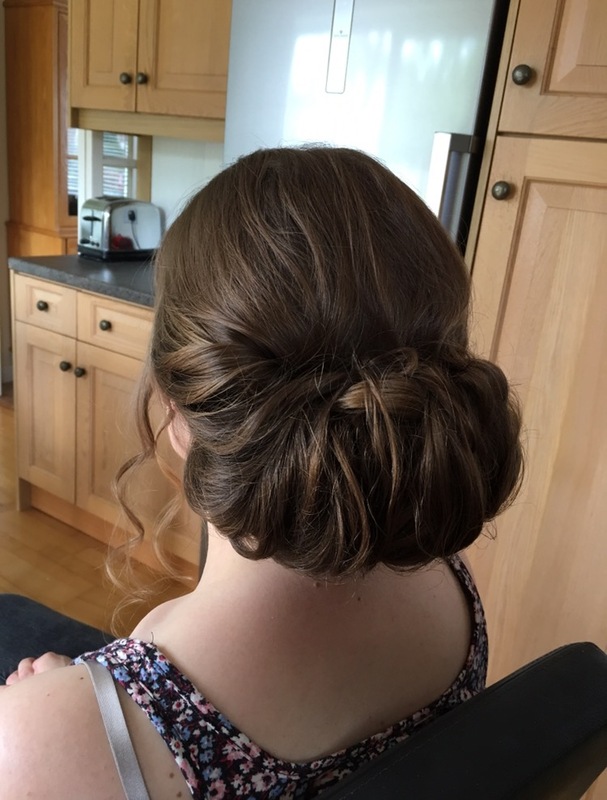 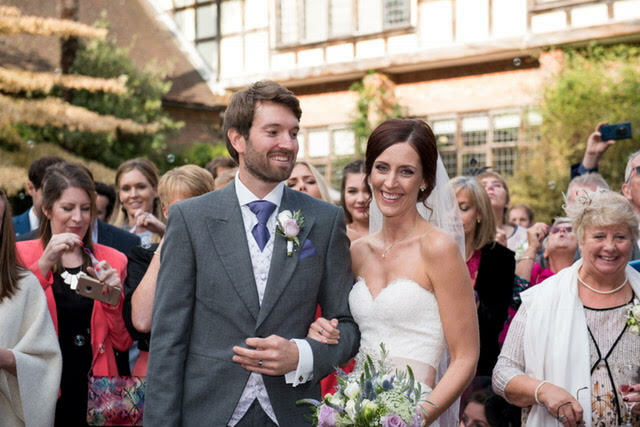 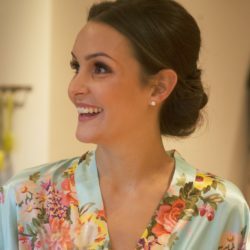 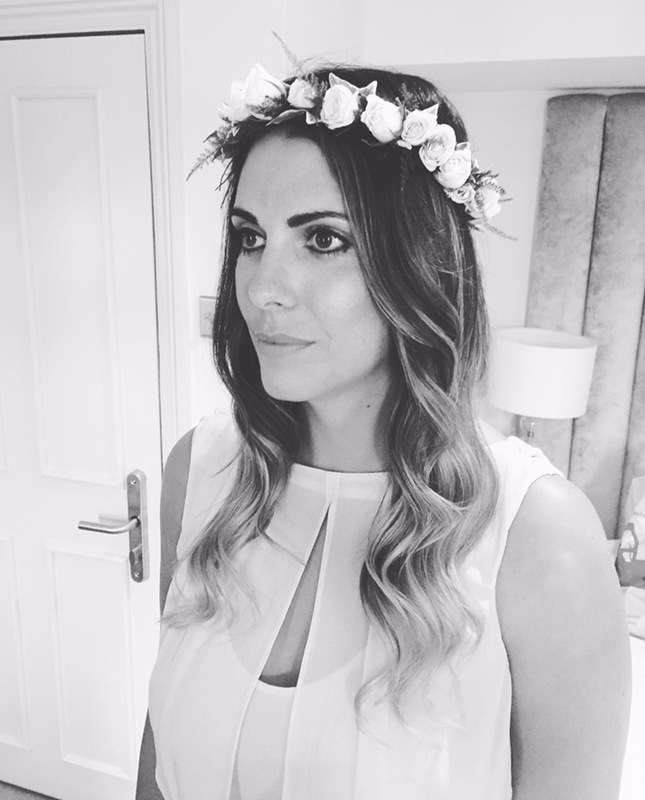 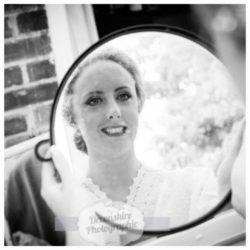 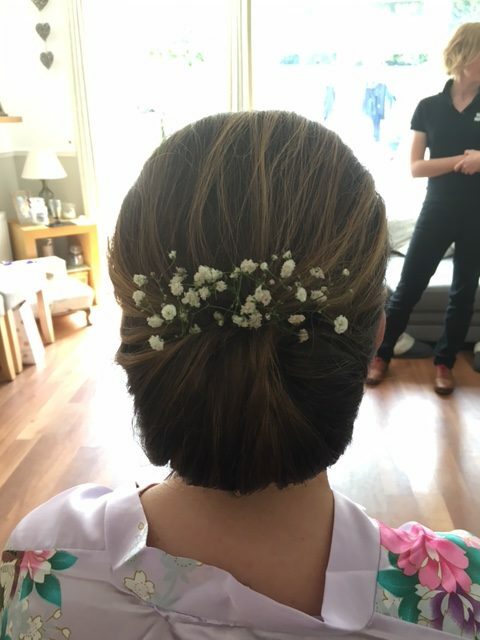 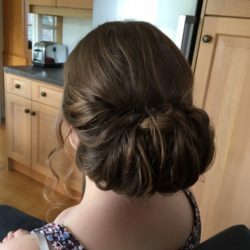 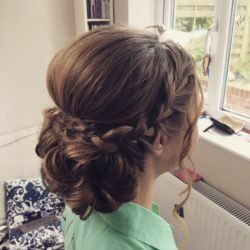 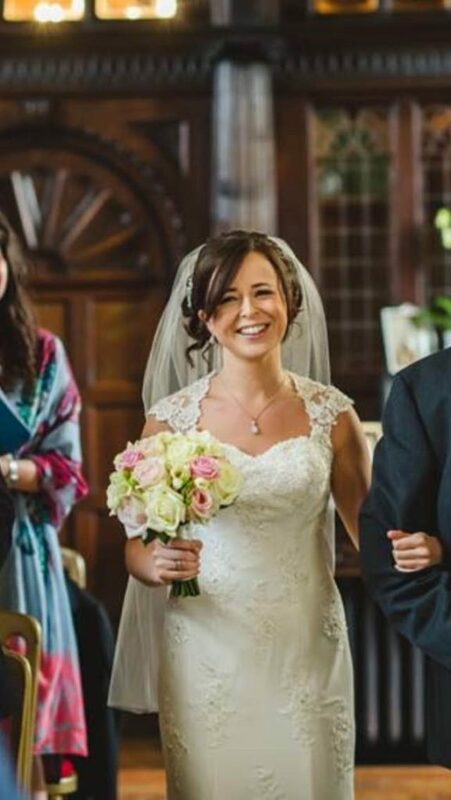 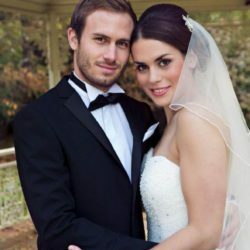 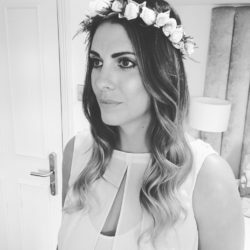 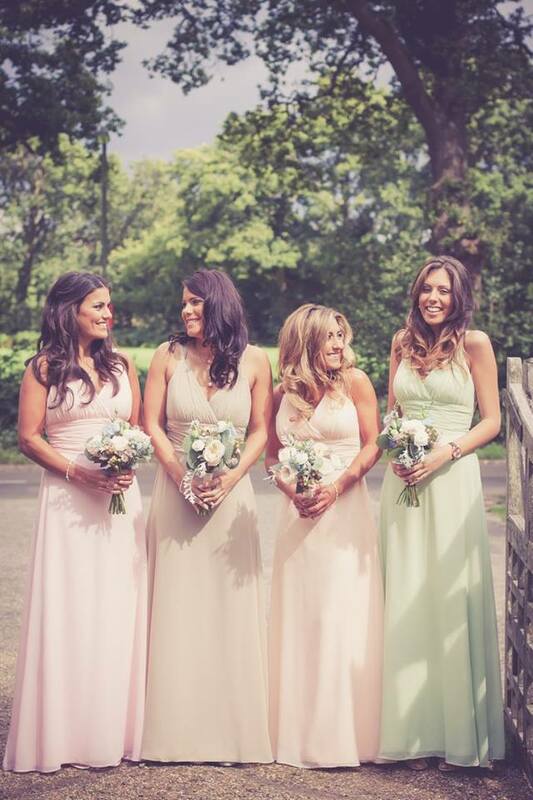 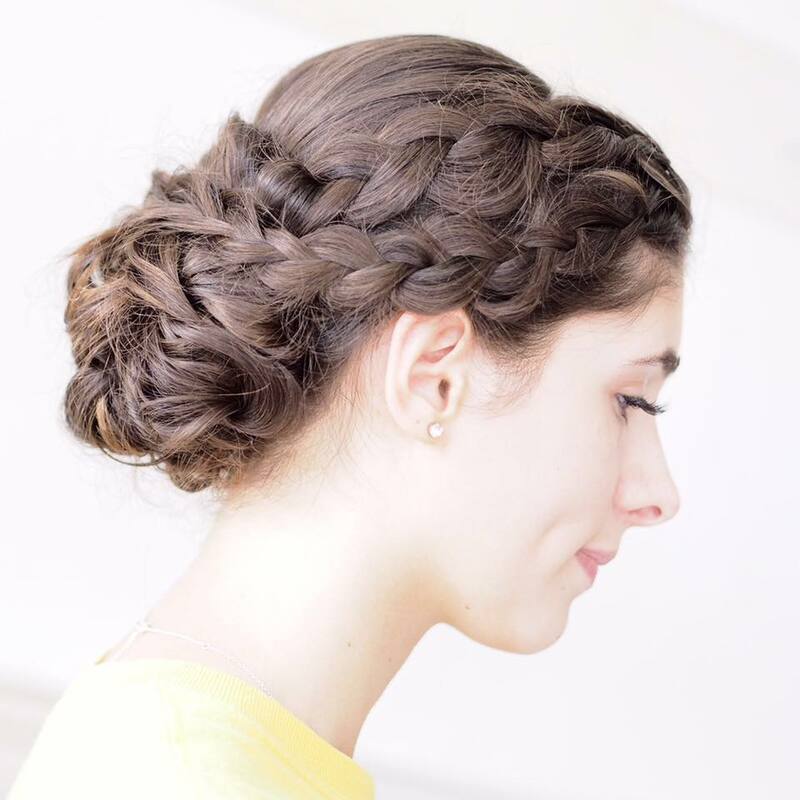 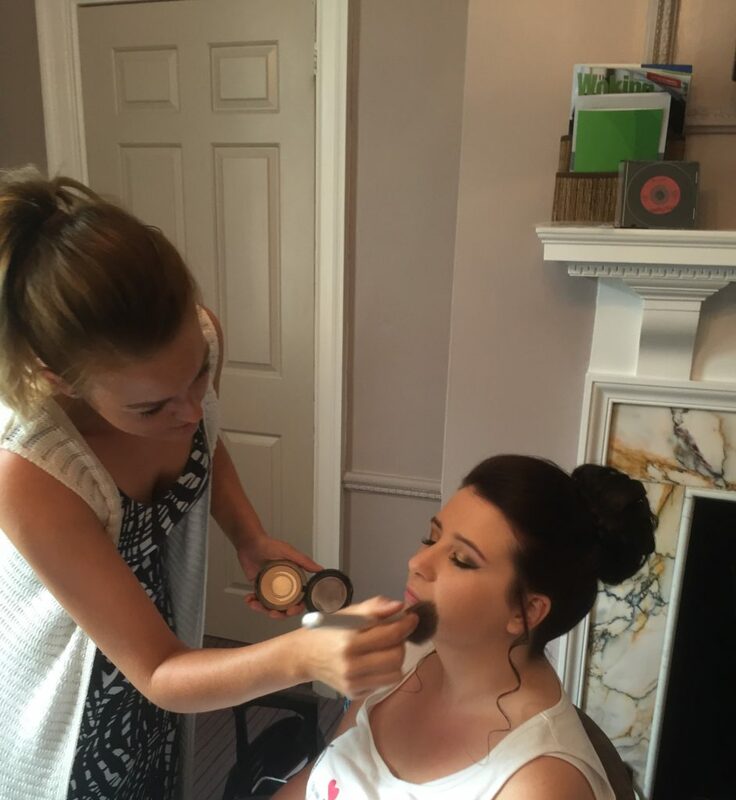 It is very important you are happy with your hair and makeup on your wedding day, therefore I recommend that at least 12 weeks prior to your wedding date you arrange a trial where we can meet informally and discuss your desired ideas. 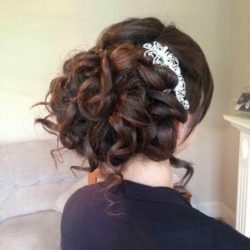 This will ensure you feel 100% confident with your final chosen look. 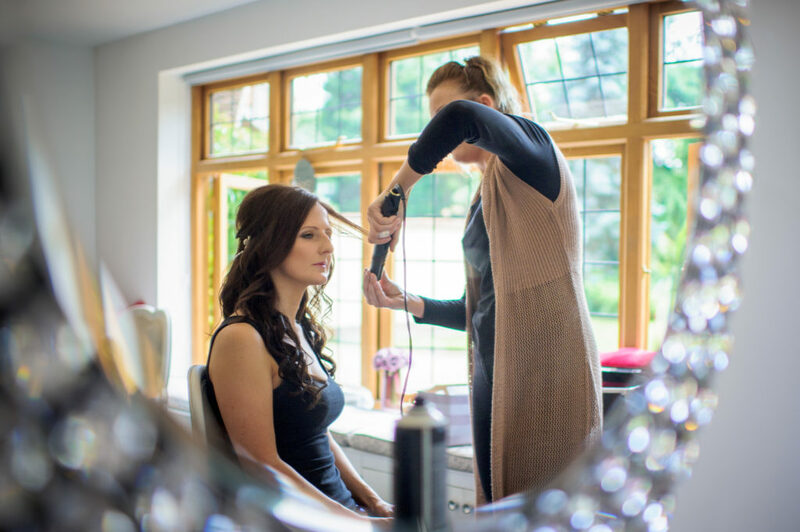 The importance of your hair and makeup lasting from morning to evening is essential, for that reason we use high end quality products to achieve a fantastic long lasting look. 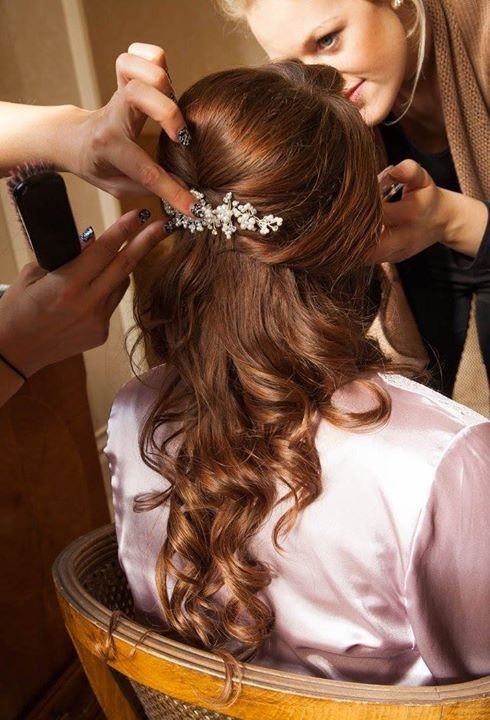 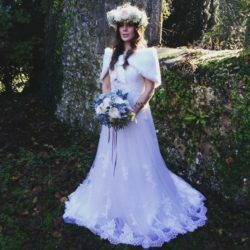 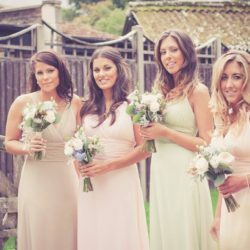 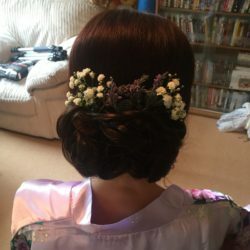 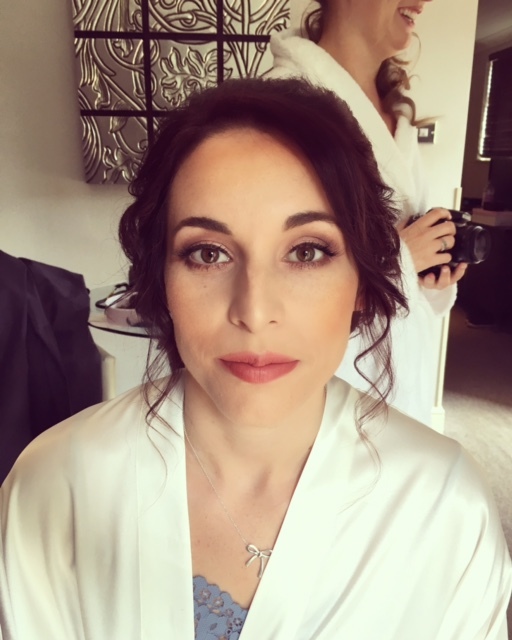 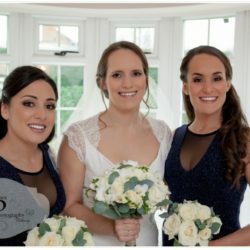 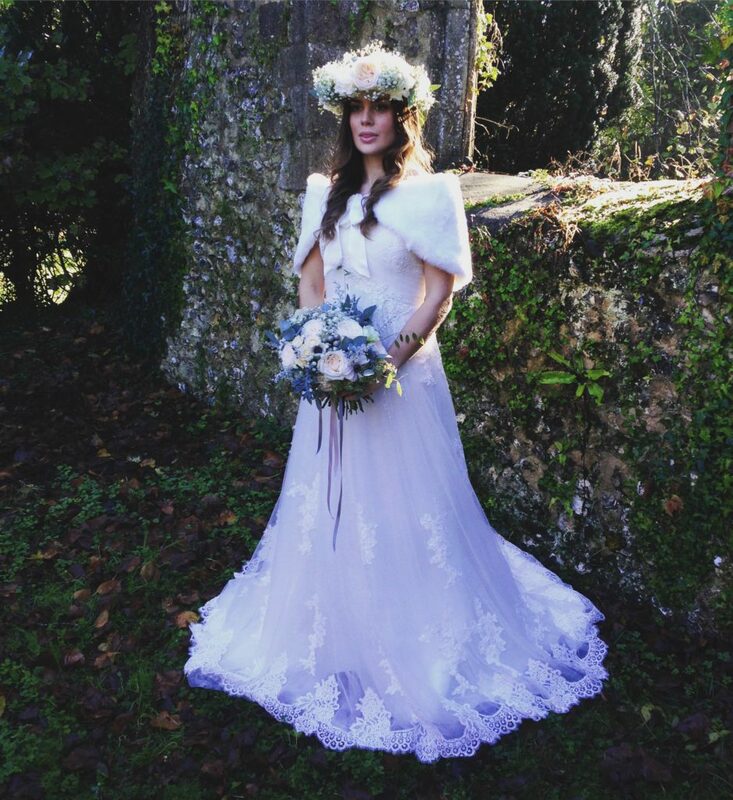 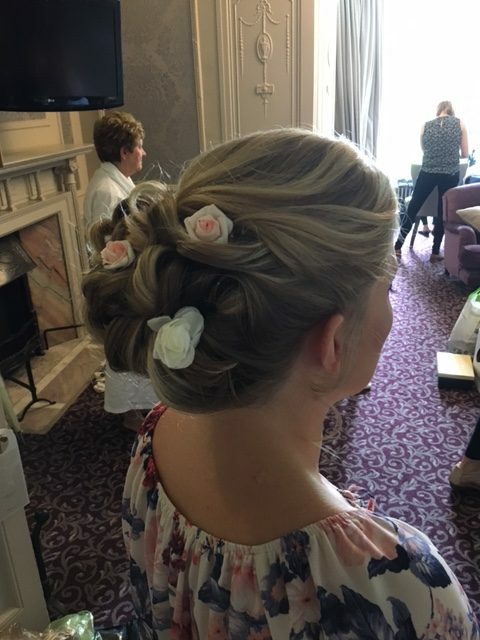 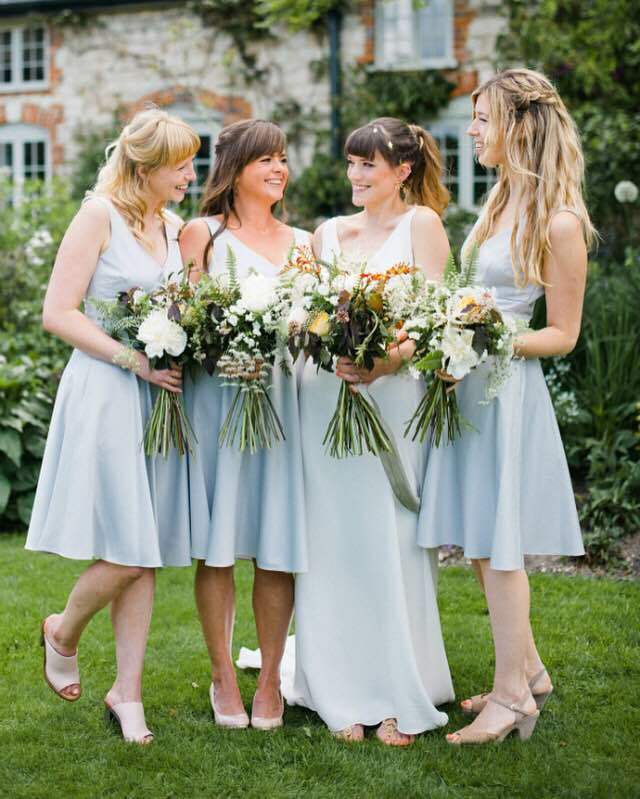 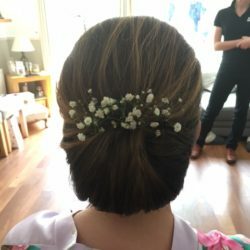 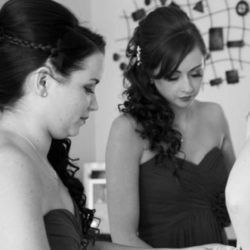 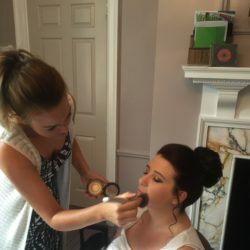 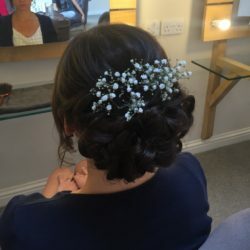 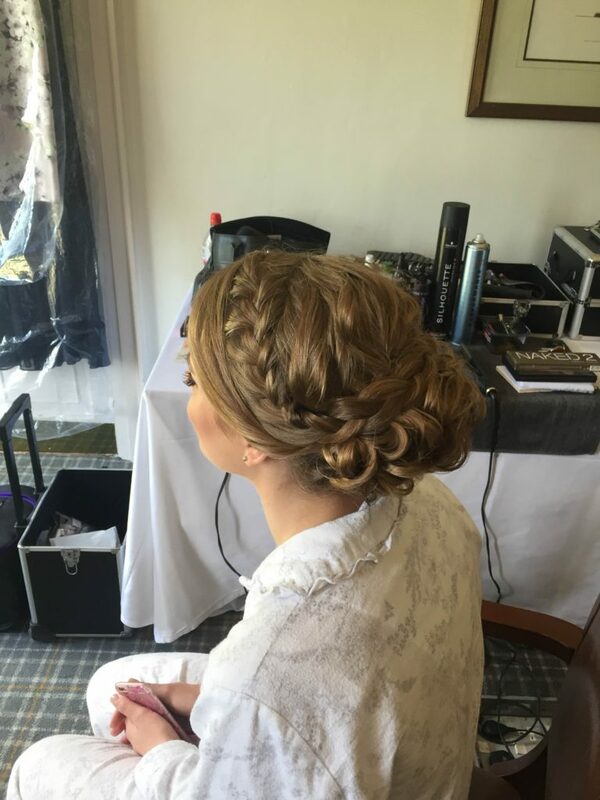 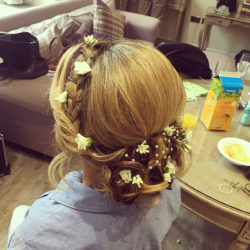 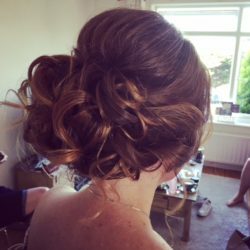 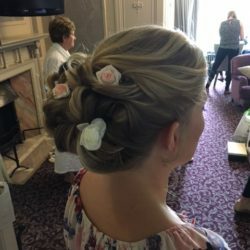 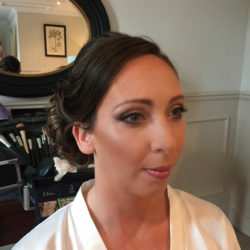 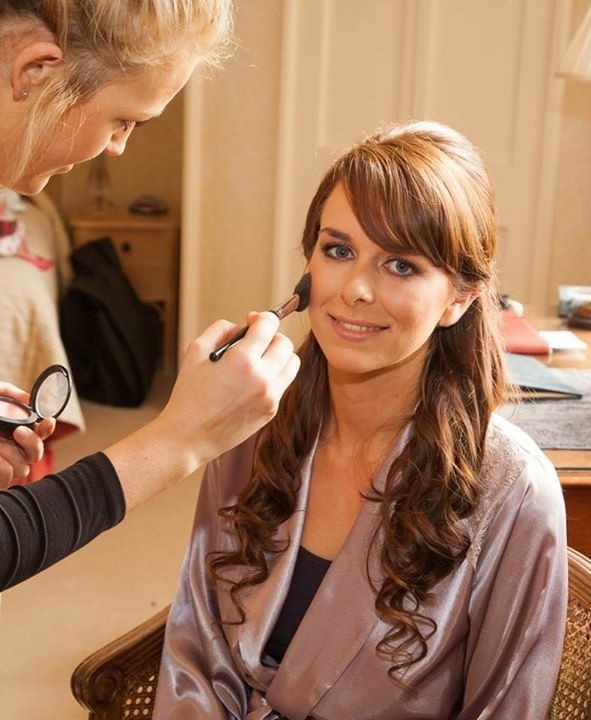 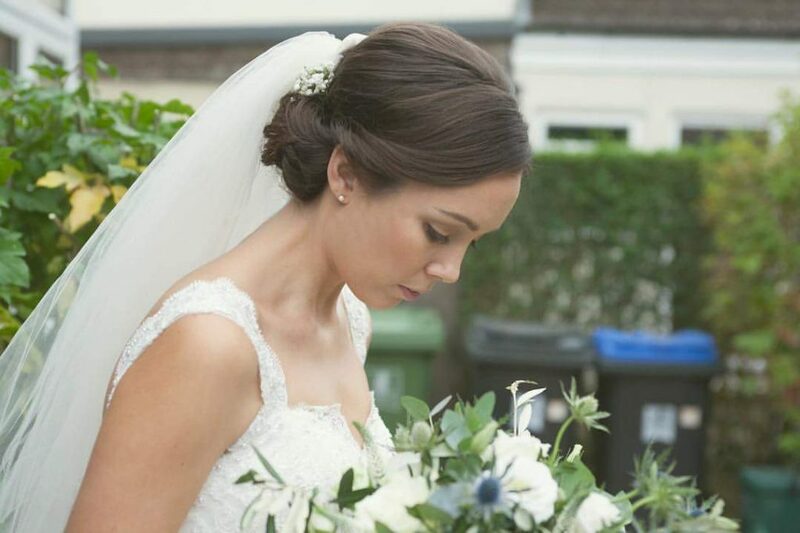 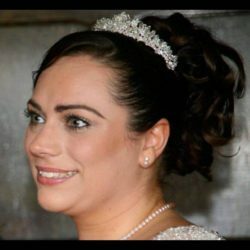 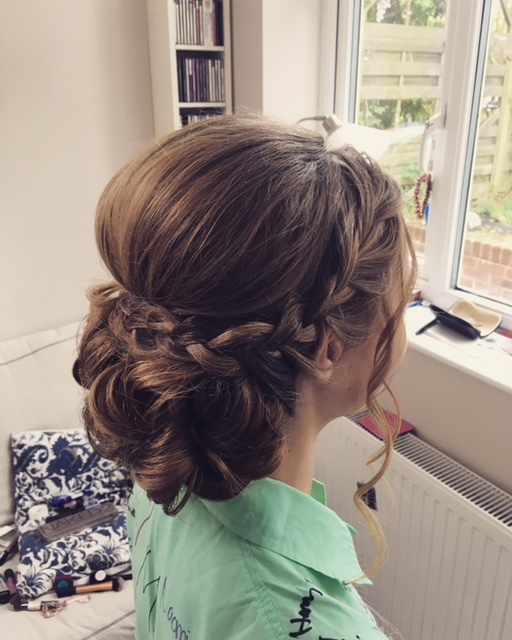 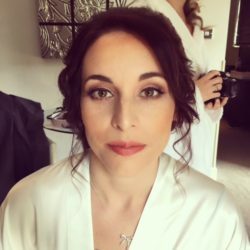 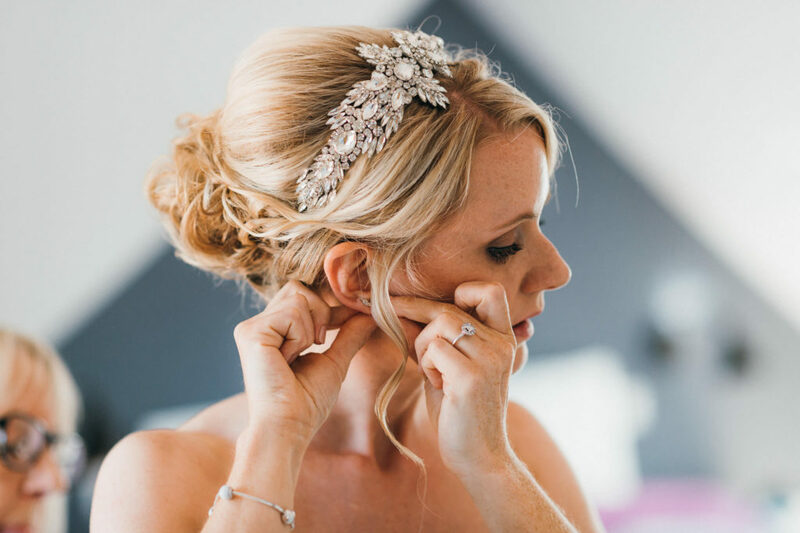 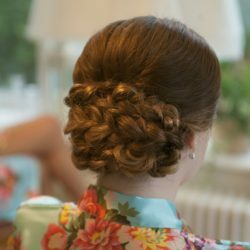 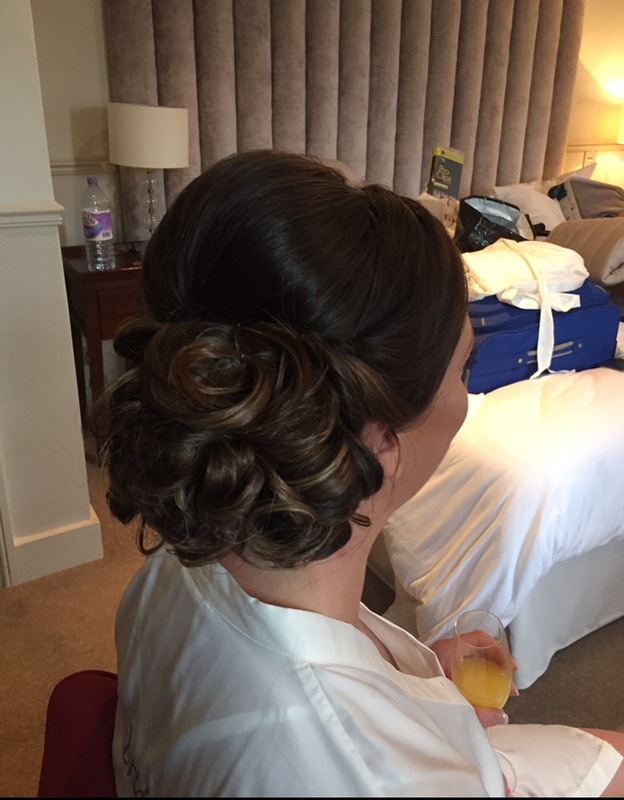 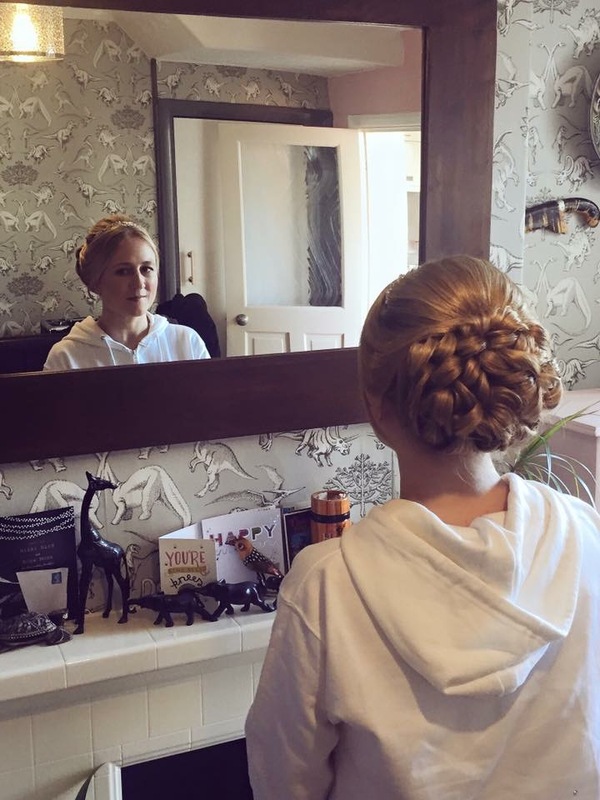 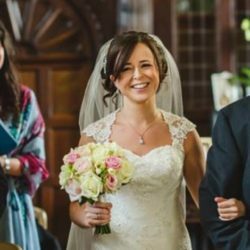 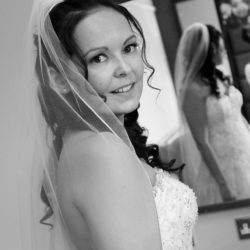 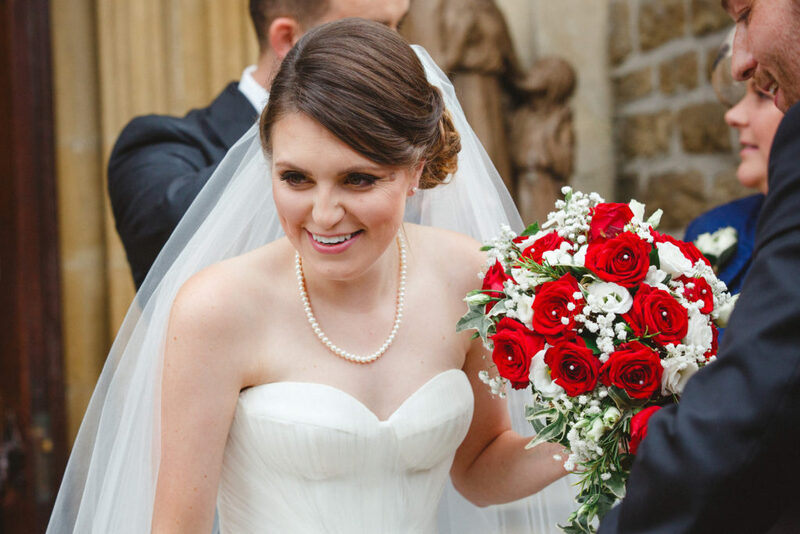 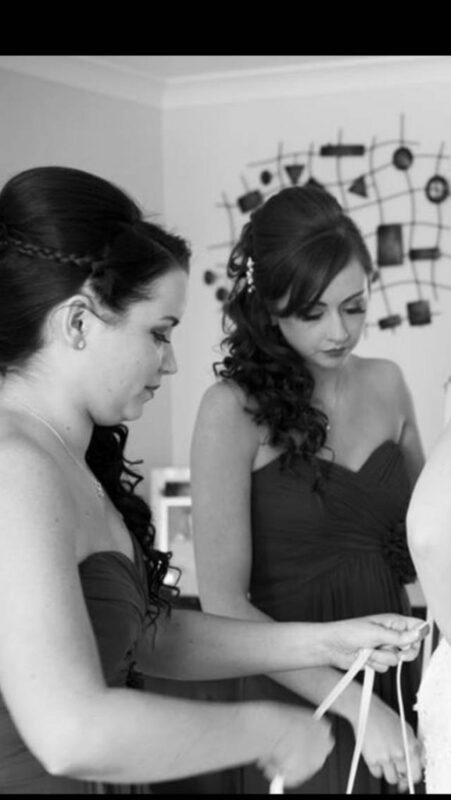 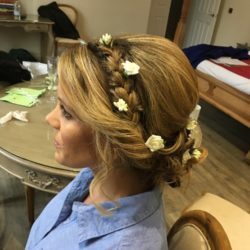 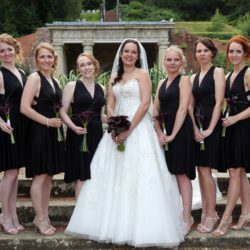 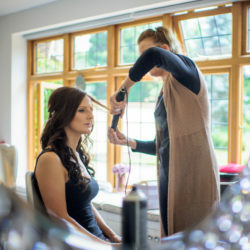 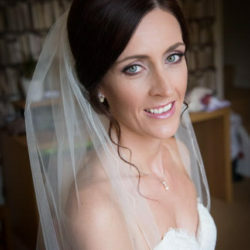 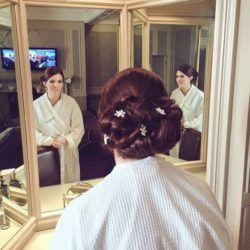 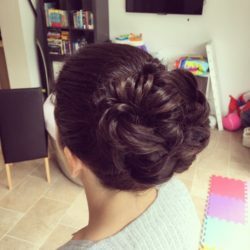 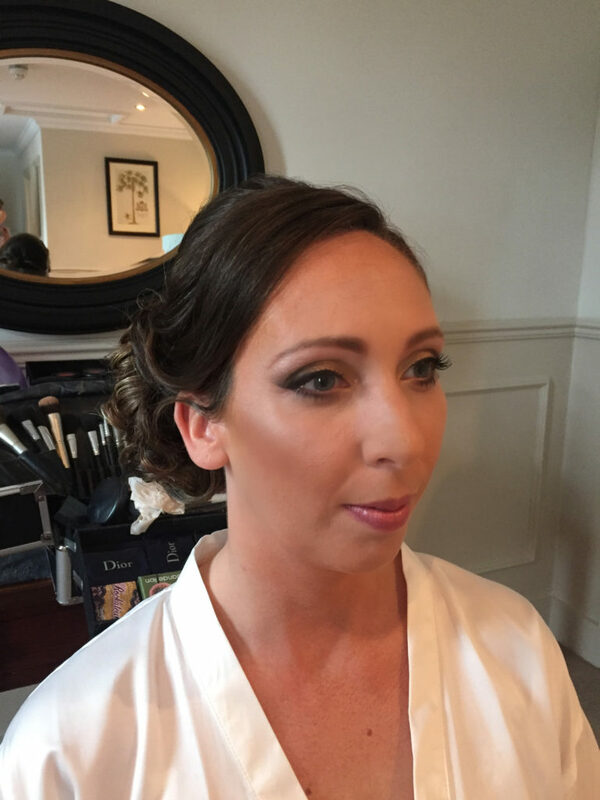 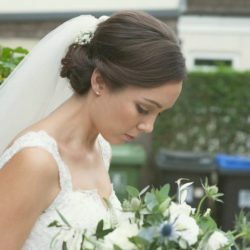 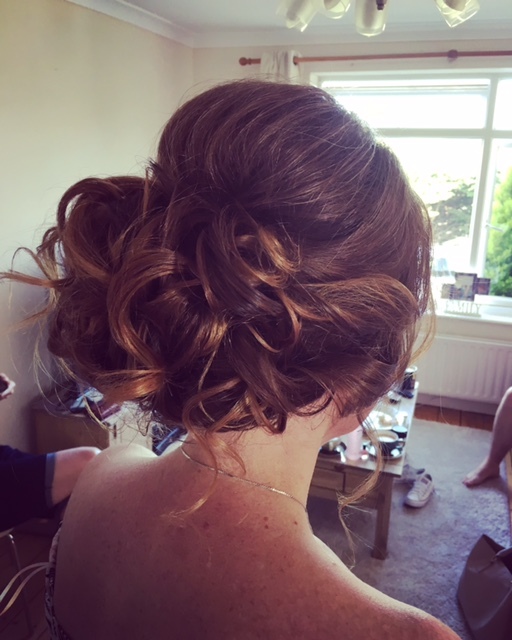 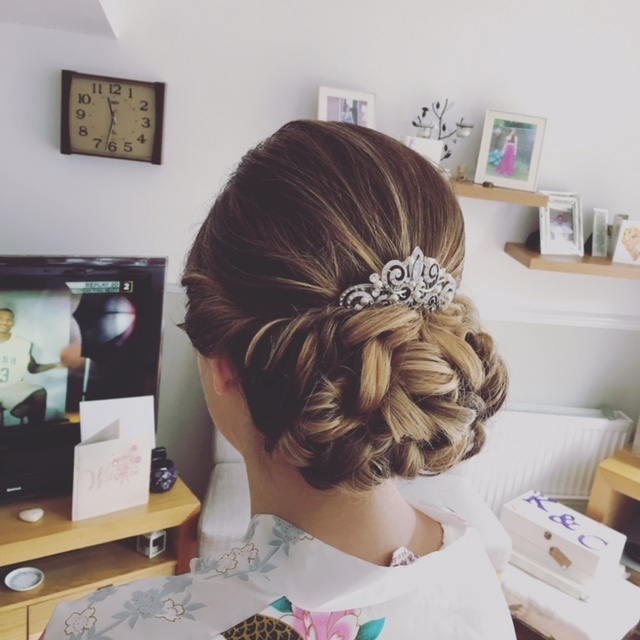 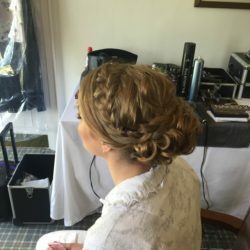 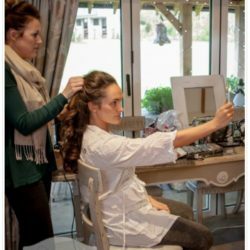 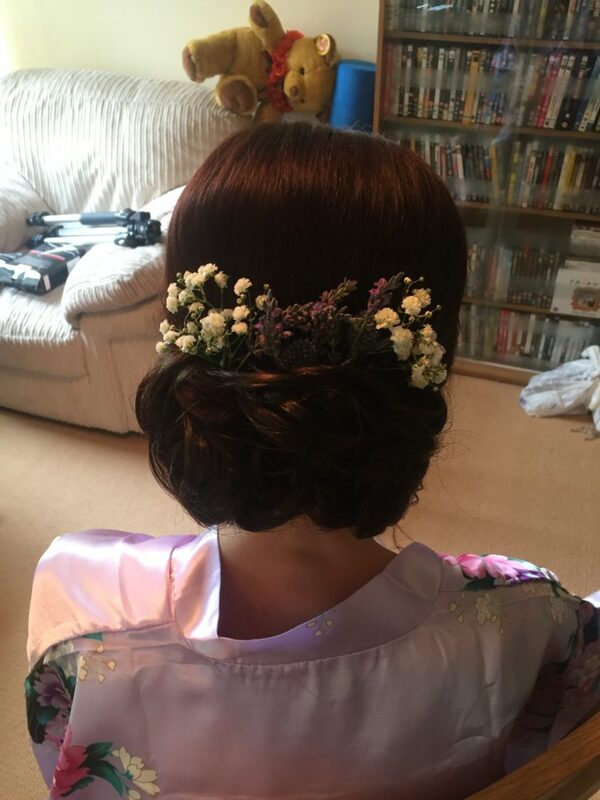 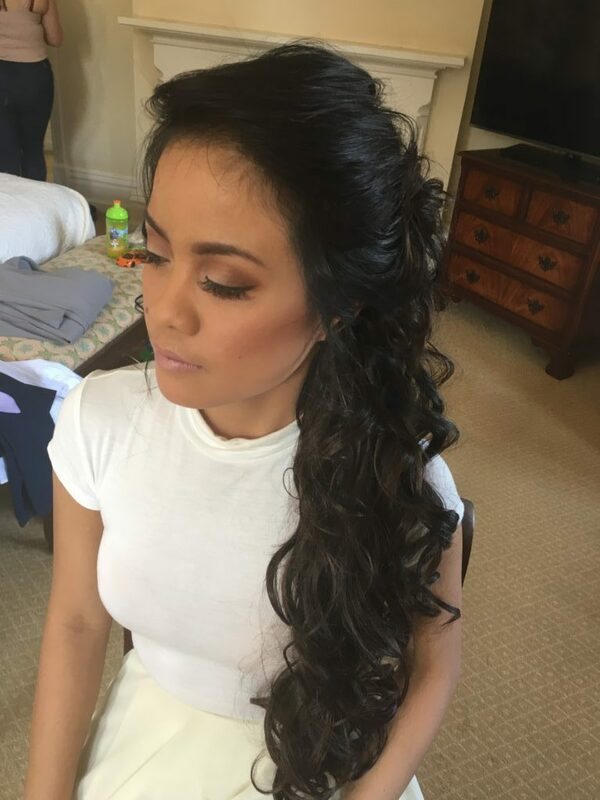 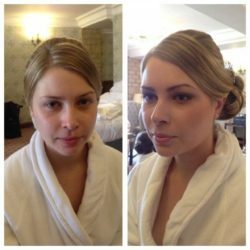 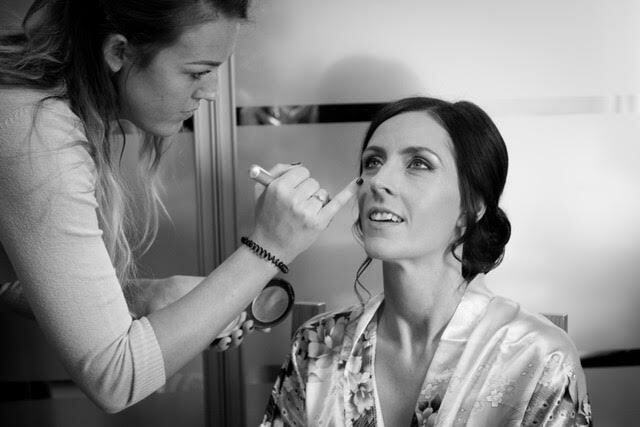 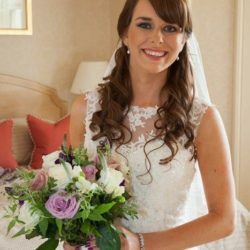 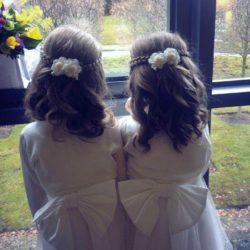 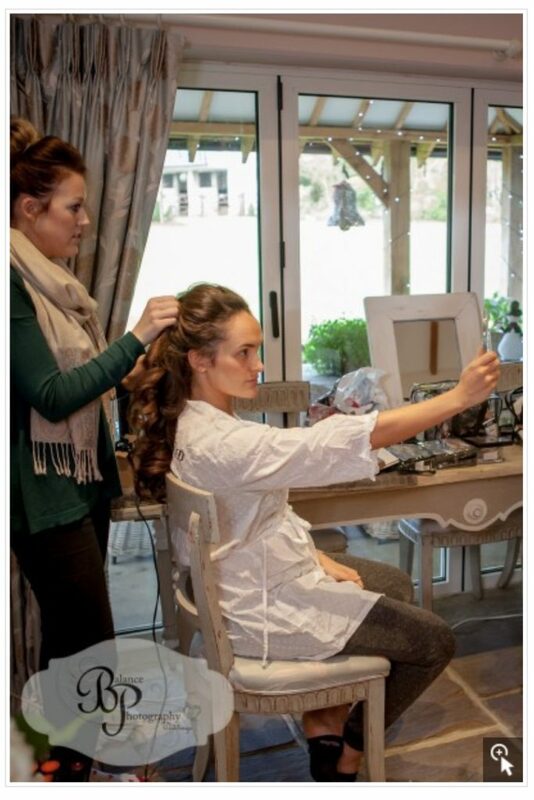 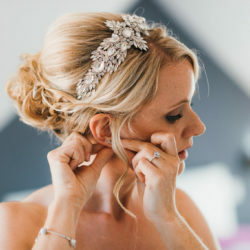 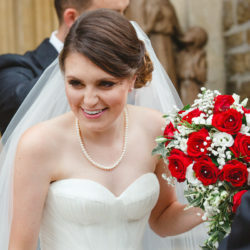 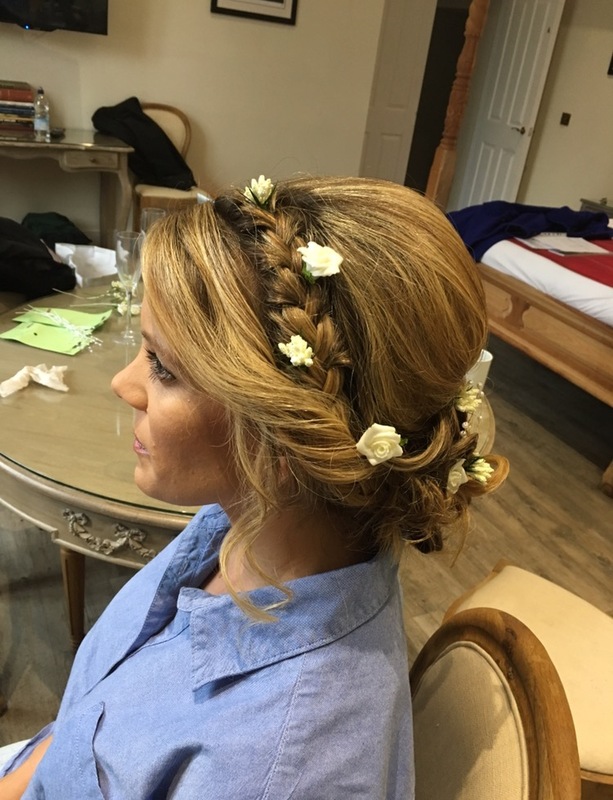 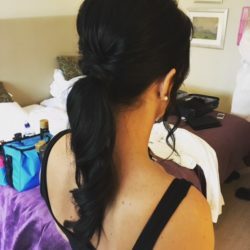 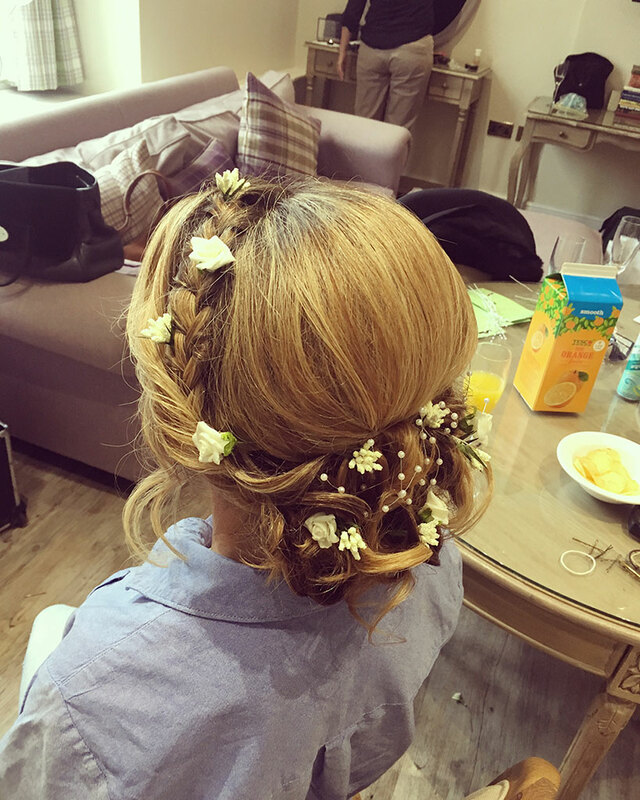 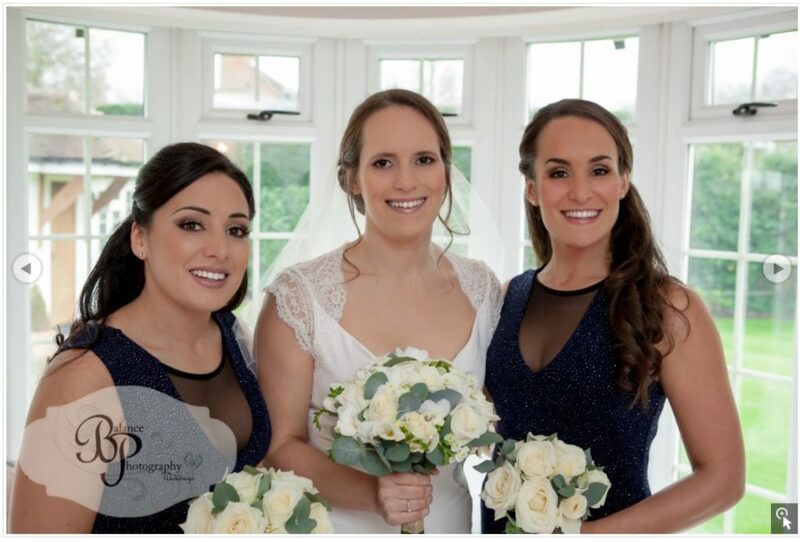 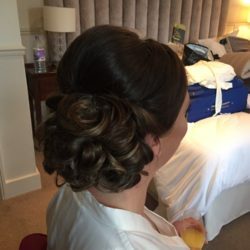 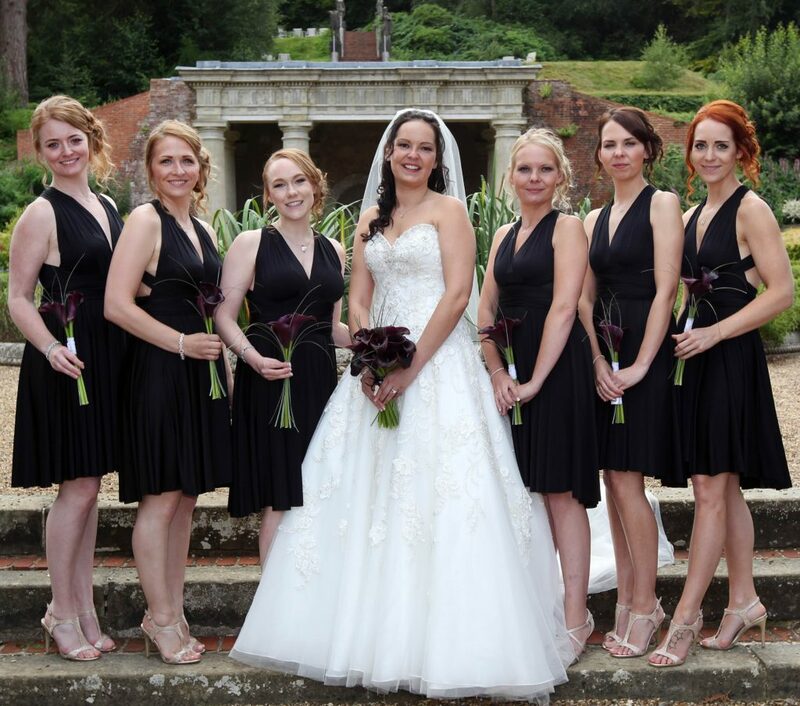 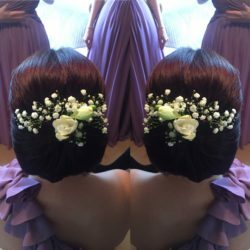 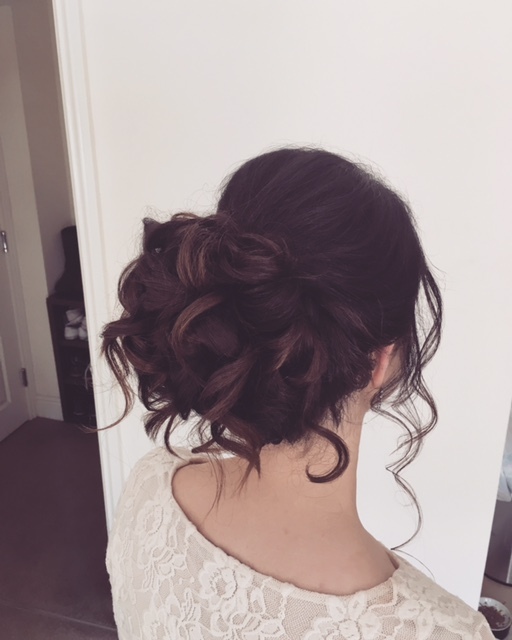 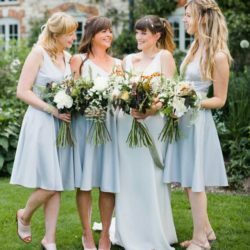 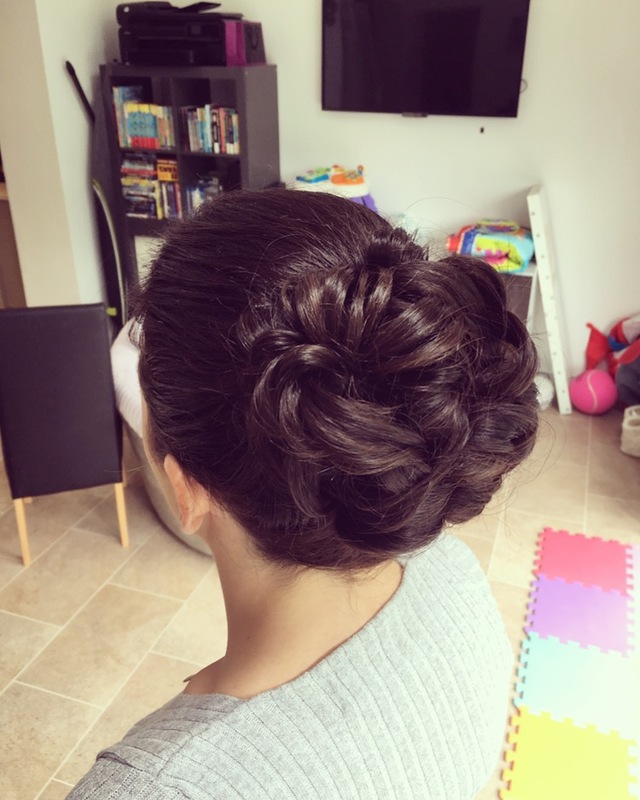 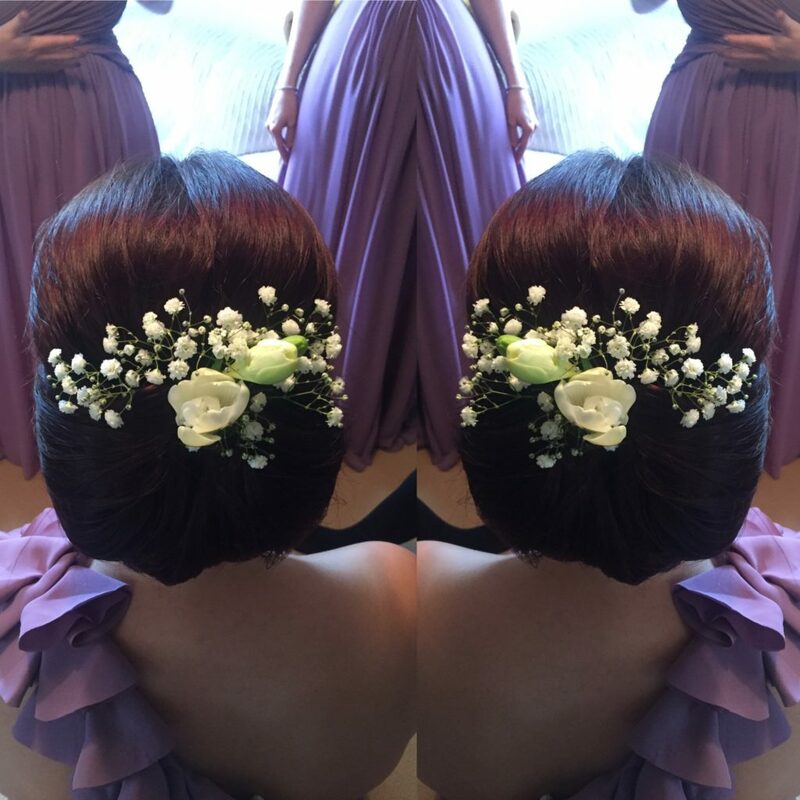 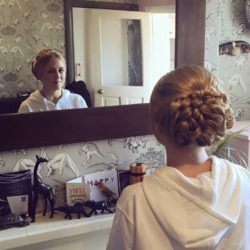 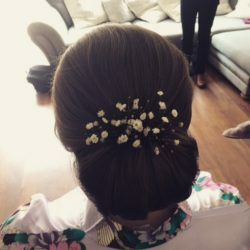 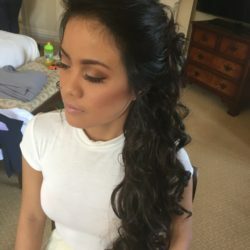 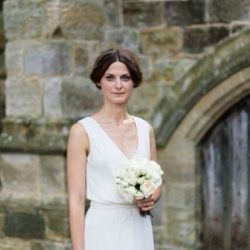 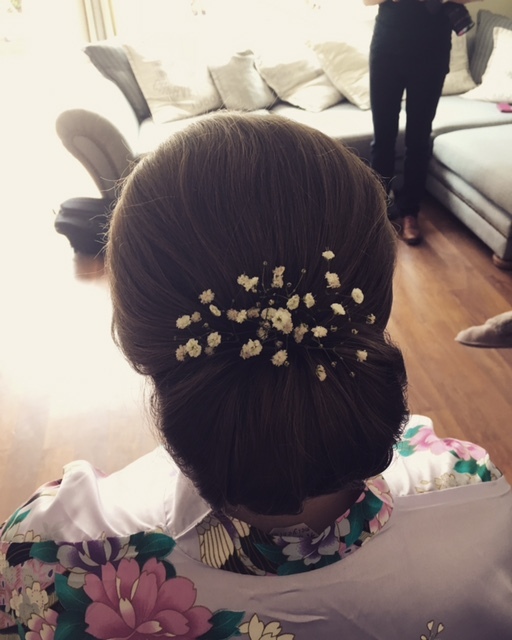 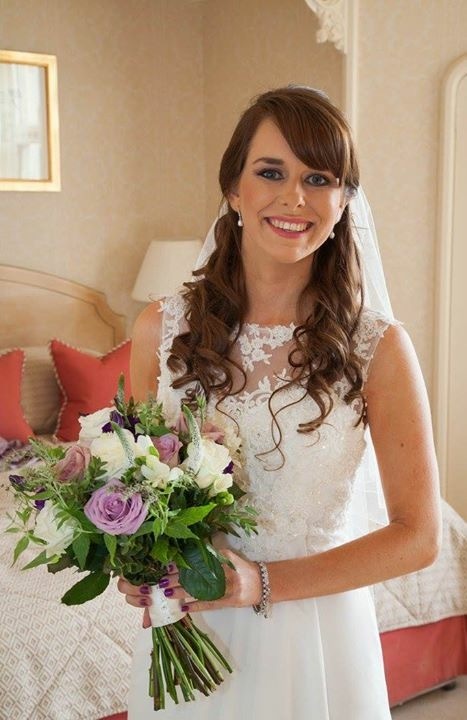 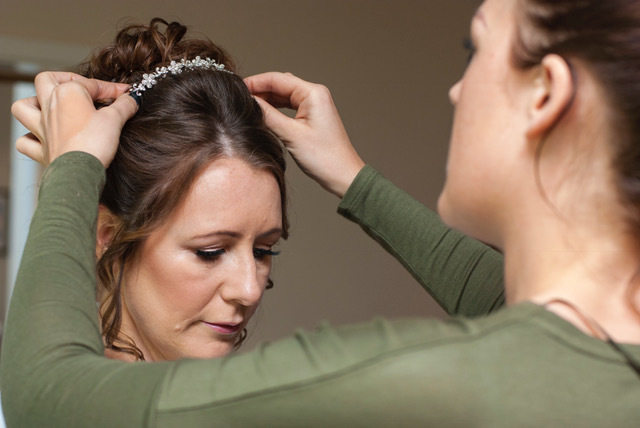 Professional Bridal hair and makeup is vital for a bride who wants to look outstanding on her wedding day, we are happy to travel to you or the required venue to achieve this. 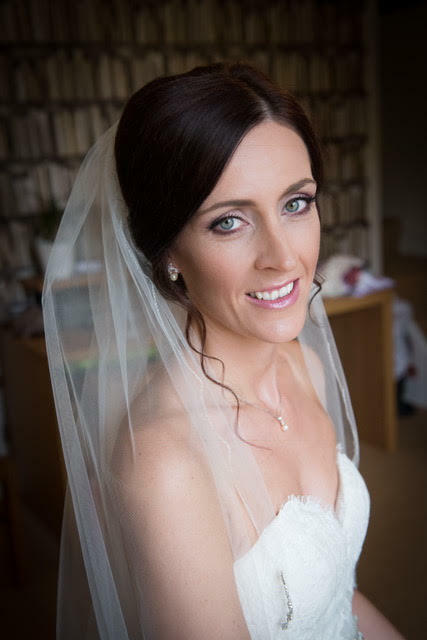 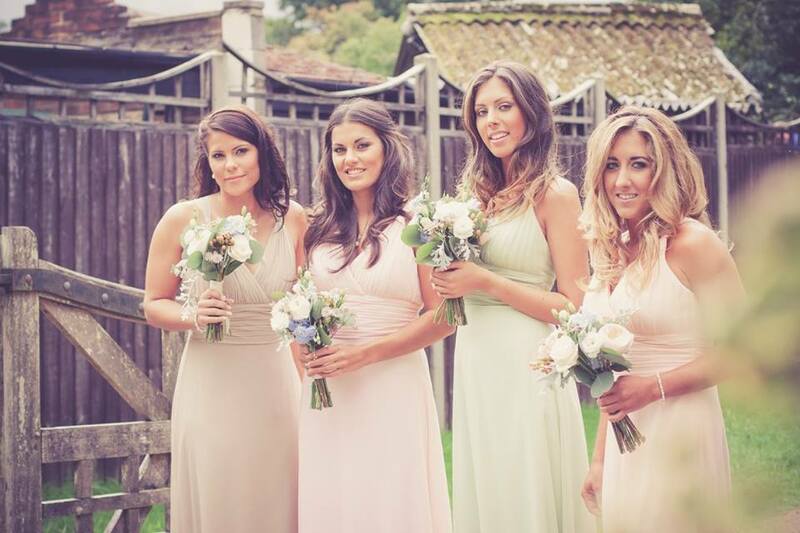 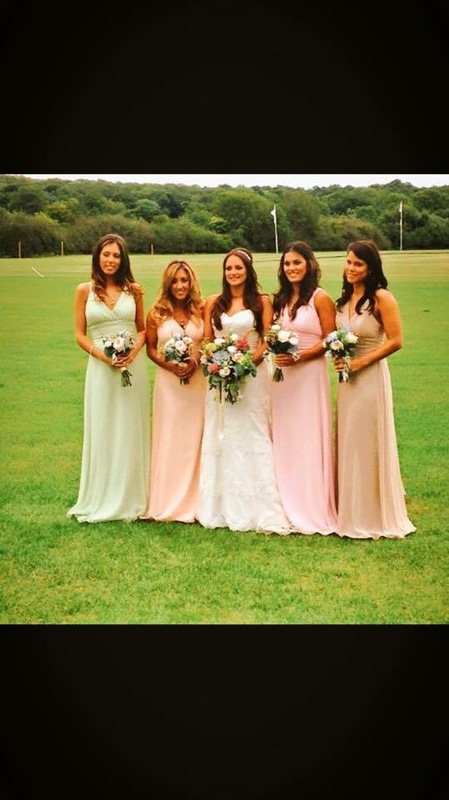 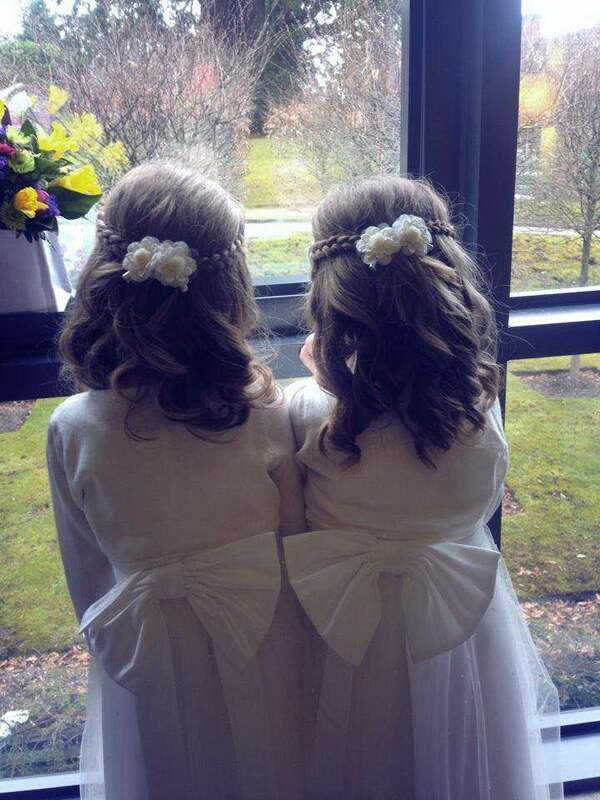 Please get in touch with my team and I for the perfect wedding hair and makeup.